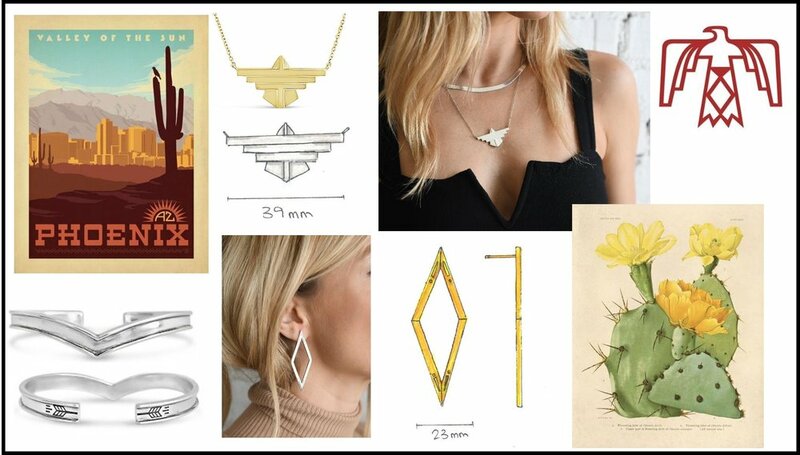 For our fall collection, I knew I wanted to use new stones and keep my focus on classic jewelry styles with a SWJ twist. Like simple hoop earrings or a sentimental dainty necklace. Side note: I love people watching and seeing what jewelry women are wearing. I usually look at people’s jewelry before I look at their face. (Not sure if this is normal or not.) Below are the visuals on what inspired the newest collection. Oh, and if you haven’t been able to see the new pieces in person, please check out our events page! Inspired by the beautiful astronomical event, the Eclipse pieces include Black Onyx, a new stone for SWJ. These classic silhouettes and the smooth texture of the stones balance out our more geometric and patterned styles in the exhisiting collection. Arizona is one of my favroite places outside of the Flinthills. I love the geometric shapes in southwestern artwork, the landscapes, and culture. I have alot of love for the Earlene Earrings. My Grandpa’s name was Earl and gave my mom the middle name Earlene. 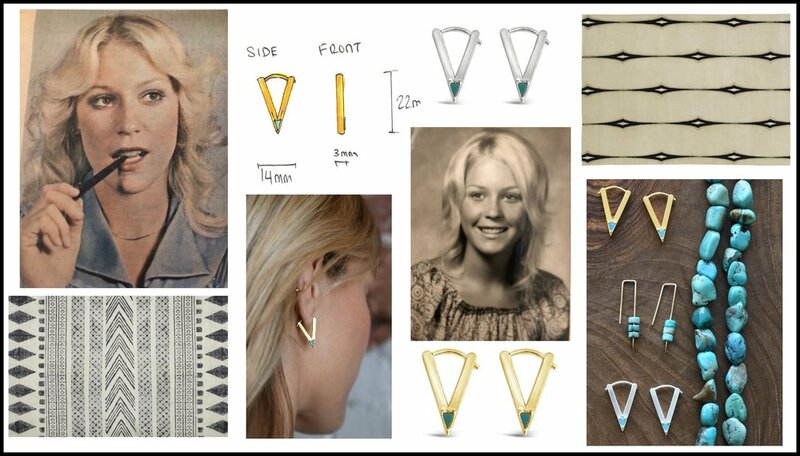 The Earlene Earrings are named after my Mama and biggest fan. She’s a Bad B, just like these earrings. Even though we just came out with these pieces, I started working on designing them about 4 months ago. I’ve already started working on Spring Summer 2019 designs and I’m thinking of using Lapis, Opals, and of course, Turquoise. What would you like to see us add to the line up?